In science like life the journey is as important as the destination. While this is true for every major scientific discovery that signals a paradigm shift in how we understand interpret or modify ourselves or our world it is most vital in the quest -- still not completed -- to plumb the very heart of matter. And coming to know the structure of atom was not a mere scientific curiousity but something that underpins the entire gamut of modern human civilisation. As we learn here it can assist the remnants in case of any catastrophe that wipes out most of the population and information and knowledge accumulated over centuries. Richard Feynman among the greatest physicists of the 20th century (and cropping up regularly in this book) once contended that if in anticipation of such an eventuality some toughened material had been prepared and kept safe to be discovered by survivors humanity "could recover pretty much everything it needed to know about the material world" from a short sentence about the atom s features and behaviour. Why the atom is so important is what science journalist and space historian Piers Bizony tells us in this installment of the Icon Science series recounting the significance of key moment in science over the last few centuries. And as he brings out the focus on atoms and its components and sub-components -- which is still continuing -- definitely qualifies. "Our quest for the atom has been one of the greatest scientific adventures in history. Not the least of the problems is that the atom is a mind-numbingly small entity..." says Bizony. But as we learn the concept of atom -- philosophically not scientifically -- was known from antiquity especially among the ancient Greeks almost 25 centuries ago. 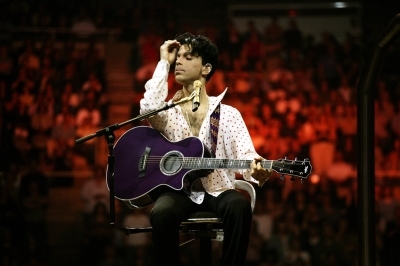 But till a century or so ago its structure properties and applications were not known or even deemed worth knowing. Until the dawn of the Industrial Revolution when the demand for new materials was high and scientists scrambled to understand the properties and make-up of various materials. However even for them especially John Dalton in the late 18th/early 19th century it was only a "spectacularly reliable chemical counting unit" and "a statistical way of looking at gas and steam pressures". All that however changed at the end of the 19th century when scientists tried to understand radioactivity and understand what light s nature was actually. And as this account shows there was no looking back. The account is not about the ground-breaking research of some of the greatest minds of science from the past two centuries -- J.J. Thompson Dmitri Mendelev Max Planck Marie Curie Albert Einstein Niels Bohr Wolfang Pauli Erwin Schrodinger Lord Rutherford Paul Dirac Werner Heisenberg Lisa Meitner Enrico Fermi Feynman himself and more -- but also the leap of imagination and adoption of a new thinking that made it possible. 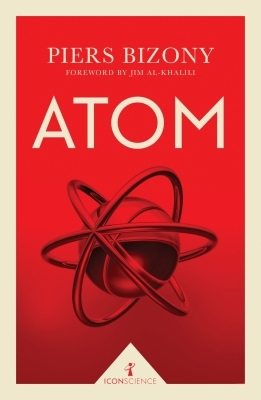 "Today it is hard to imagine what little knowledge Marie and Pierre Curie started with when they embarked on their quest to explain radioactivity or what a great leap of intuition Rutherford needed to figure out what the inside of an atom looks like " says eminent physicist Jim Al-Khalili in the foreword. And that is the whole crux of the issue -- which goes beyond all the uses the properties and power of the atoms have been put most of the 20th century and beyond. While Bizony does a great job in explaining the high-level science most lucidly and accessibly and providing colourful pen-portraits of the scientists who included rakes introverts philanderers practical jokers and philosophers his most significant contribution is chronicling the mindsets that made possible unveiling the atom s secrets. Letting imagination soar outside bounds changing views and presumptions given theoretical dead-ends or contradictory experimental results accepting opposite views -- grudgingly or gracefully -- when they are proven and above all the benefits of holding open minds and the habit of verifying all claims didn t only help in this endeavour but are equally important outside science too. And above all the search for the atom s structure not also showed the fundamental interconnectedness of matter but also how the actions of atom s components -- which have implications across greater scales -- are not predetermined and thus cause a relook at the very nature of causation and reality.